A head coach, senior coach, or manager is a professional at training and developing athletes. They typically hold a more public profile and are paid more than other coaches. In some sports, the head coach is instead called the "manager", as in association football and professional baseball. In other sports such as Australian rules football, the head coach is generally termed a senior coach. Other coaches are usually subordinate to the head coach, often in offensive positions or defensive positions, and occasionally proceeding down into individualized position coaches. For articles on position coaches, see Category:Coaches of American football. Head coaches in American football have different responsibilities depending on what level of the sport they are coaching. The head coach has a much more complete hold on the intricacies of the team. He may have to perform the duties of a defensive or offensive coordinator. Often, high school head coaches have to do more work off the field than on. It is important that head coaches in high school hire a competent and proactive coaching staff because when the head coach is pulled away from practice then he must be confident that his team is in good hands with his other coaches and staff. One of the most difficult issues that head coaches must deal with off of the field is the parent, although many coaches do not allow parental interactions in many cases. He must be able to handle any issues that parents may have with the way that the head coach is running the program, all along while staying professional and not being demeaning. Furthermore, a high school's head football coach often serves as his school's Athletic Coordinator or Director, which adds even further responsibilities to his job. In some jurisdictions, a high school head coach must also have a paying job within the school, almost always as a teacher. One of the major features of head coaching in college football is the high turnover rate for jobs. With few exceptions (notable ones including Jimmye Laycock, Joe Paterno, Tom Osborne, Bill Snyder, Frank Beamer, Bo Schembechler, Woody Hayes, Bobby Bowden, Darrell Royal, and LaVell Edwards) college coaches often routinely change jobs, rarely staying at a school for more than a decade. Some coaches have been known to leave a school and then return to the program after a period of time. Many head coaches at the college level have a paid staff and as such are more free to concentrate on the overall aspect of the team rather than dealing with the nuances of training regimens and such. Unlike head coaches at other levels, college coaching staffs are solely responsible for the composition and development of players on the team. The ability to recruit and develop top players plays a major role in success at this level. A college coach acts as the face of a team, at an age when many young players do not wish to be hounded by media. They are often called upon to discuss off-the-field incidents such as rule infractions or player antics. Sometimes, the coach becomes a celebrity in his own right, e.g., Lou Holtz. At the end of the year there are numerous college football coach of the year awards given out. Usually the awards all go to the same coach but there are some discrepancies. Major annual coaching honors include the Home Depot Coach of the Year, The Liberty Mutual Coach of the Year Award, the Associated Press College Football Coach of the Year Award, and The Paul 'Bear' Bryant Award. At the professional level, coaches may work for millions of dollars a year. Since he or she does not have to travel the country recruiting high school players, the head coach at the pro level has much more time to devote to tactics and playbooks, which are coordinated with staff paid even more than at the college level. They typically report to the General Manager. Head coaching, due to the lack of job security and long hours, is a very stressful job. Since the money is good at high levels and firings are common, many coaches retire in their early fifties. Many factors are part of National Football League (NFL) coaches' contracts. These involve the NFL's $11 billion as the highest revenue sport, topping the Major League Baseball's (MLB) $7 billion. The NFL's coaches are the highest-paid professional coaches with professional football topping the list in Forbes' highest-paid sports coaches. Bill Belichick is in the number one spot for the second year in a row with no MLB or National Hockey League coaches making the list. Another major element of NFL coaches' contracts, negotiated between individual coaches and NFL "teams"/owners, are NFL demanded provisions in the coaches employment contracts, that authorize the employing NFL teams to withhold part of a coach's salary when league operations are suspended, such as lockouts or television contract negotiations. The average salary for a head coach in the National Football League is $6.45 million a year. In association football, a head coach has the same responsibilities as in any other sport. A head coach has an option to pick his own coaching staff. In some countries there is a position of senior coach who acts as the first assistant of the head coach or runs a junior squad in the club. In the absence of a head coach, a senior coach temporarily fulfills his role as interim (see Caretaker manager). There is the UEFA Convention on the Mutual Recognition of Coaching Qualifications that has three levels: Pro, A, and B. In Australian rules football the head coach or senior coach is responsible for development and implementing an appropriate training program to the players so that they ensure they perform on game day. The senior coach in AFL also has to be responsible for the rotations and team line up for the games. A senior coach in AFL is not the only coach involved in making the team operate, in AFL teams there are up to five different coaches that all have different responsibilities, for example, there is a forward, midfield and defence coach, these coaches focus on the particular positions on the ground, and they work with the particular players who play in these positions. Rugby football union clubs have the option of either a director of rugby (DoR), a head coach, or both. There is as yet no consensus on what either role entails, as the responsibilities vary between clubs. 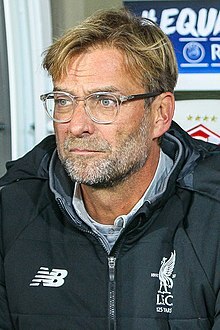 Generally, if a club decides on employing one of either a DoR or a head coach, they will take more responsibility than if the club employs for both roles. It has been proposed that the DoR is a club-wide position, providing and ensuring the club is working towards a shared philosophy from youth teams through to senior teams. Whereas, a head coach is focused purely on planning and implementing coaching for the first team; alongside a coaching team consisting of a mixture of defence, attack, forwards, backs, skills and strength and conditioning coaches. ^ Dosh, Kristi (2012-09-29). 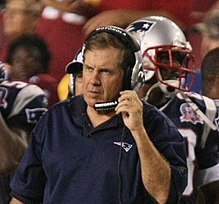 "Bill Belichick highest-paid coach - again - Sports Business News, Analysis - Dollars Blog - ESPN Playbook - ESPN". Espn.go.com. Retrieved 2012-10-03. ^ "The Highest-Paid Coaches In Sports". Forbes.com. 2011-05-18. Retrieved 2012-10-03. ^ "NFL Coaches Association brief: 'End the lockout'". CBSSports.com. Retrieved 2012-10-03. ^ Smith, Chris (May 22, 2013). "The Highest Paid Coaches In US Sports". ^ Full membership of UEFA coaching convention. UEFA website. 18 December 2008. ^ "Munster name Johan Erasmus as new director of rugby". The Irish Times. Retrieved 2017-05-25. ^ "CLUB ROLES AND RESPONSIBILITIES" (PDF). Irish Rugby. n.d. Retrieved 25 May 2017. ^ "Harlequins confirm Director of Rugby and coaching structure". www.quins.co.uk. Retrieved 2017-05-25.